Two more companies have taken space at the Advanced Manufacturing Park (AMP) in Rotherham, the UK's premier advanced manufacturing technology park. 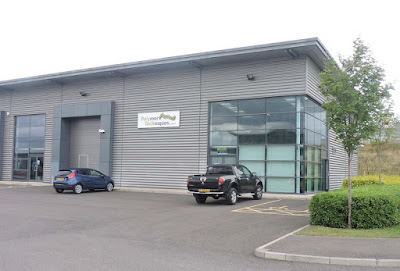 Units 5 - 7 of the popular Evolution development are now home to SBD Apparel and ERIKS UK. Evolution was one of the first developments on the AMP and offers high quality industrial and "hybrid" units for growing firms, ranging from 2,500 - 27,000 sq ft. In 2012, Harworth Estates, the company created to realise the property assets of what was UK Coal, sold the fully-let, 87,500 sq ft property for £7.2m. SBD Apparel is a UK manufacturer of premium supports and apparel for strength and fitness training. Worn by elite athletes globally, the brand was founded to design and produce market-leading performance products in conjunction with a team of elite athletes, coaches and health professionals. Launched at the World Powerlifting Championships last year, the SBD Belt features a Patent Pending fastening mechanism combining the adjustability of a prong belt with the quick operation and tightness of a lever. It combines a high quality leather strap and a cast aluminium alloy buckle. ERIKS UK is one of Europe's leading industrial services partner and provides engineering knowledge and expertise to the chemical, food, oil & gas, transportation and power generation industries. The service includes sourcing and supplying industrial products plus installing, servicing and maintaining them. The ERIKS Group of companies is one of the world's largest industrial distributors with over 50 group companies with branches in 13 countries. With Technology Centres in Barnsley and Doncaster, and a Distribution and Engineering Service Centre in Sheffield, the firm announced last year that it was opening seven new regional hubs. Damien Wilson, strategic director of regeneration and environment at Rotherham Council, said: "I'm pleased that two more companies have chosen sites on Rotherham's Advanced Manufacturing Park. It underlines the location as the UK's premier advanced manufacturing technology park and we wish them every success." Property agents, Knight Frank are reporting that the industrial occupational market in Yorkshire has continued to perform well and that the AMP continues to flourish. Looking ahead, construction is well underway on the second phase of the R-evolution development on the AMP. Set for completion in March, the 52,000 sq ft development will include space to lease targeted at advanced manufacturing occupiers. Harworth's new "AMPlify" scheme will offer a further 465,000 sq ft of space to occupiers. This includes plots for units ranging from 25,000 sq ft to circa 200,000 sq. ft and offers Design & Build opportunities aimed at high-value advanced manufacturers and their supply chains. Rebecca Schofield, partner at Knight Frank in Sheffield, said: "The key themes to take from the industrial sector in the region at the beginning of 2017 are that we are seeing speculative development of small-to-medium sized units making a much needed return to the market and we are starting to see continued rental growth and confidence within the market, which augurs well for the future. "Throughout the industrial market, construction costs have acted as a brake on smaller speculative development over recent years. Occupier demand remains strong amid the shortage of units and we have seen grant and local authority support assist with delivering much-needed stock to the market. "Overall, the industrial occupational market in Yorkshire has continued to perform well. As with other regions, there is a dearth of high quality existing and new build industrial stock currently available in the area, specifically in the small and mid-sized range units."